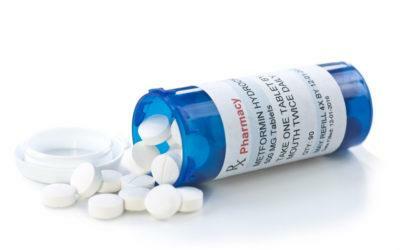 Metformin is considered a “first-line” drug for people who have Type 2 diabetes. While there are a growing number of classes of drugs to help treat Type 2 diabetes, most clinical guidelines suggest that metformin be prescribed first. Why? Metformin is safe, effective, and inexpensive. In addition, metformin may provide other health benefits besides helping to lower blood sugar. But metformin remains somewhat shrouded in mystery and controversy. Not everyone understands how it works, and many people claim that it’s dangerous and should be avoided like the plague (we can thank the Internet for perpetuating some of these unfounded “facts”). While metformin isn’t for everyone, there’s a lot about this drug that’s helpful and important to know. Metformin has been around for a long time. Metformin contains a substance called guanidine, which can lower blood sugars. Guanidine is found in an herb called goat’s rue (also known as French lilac), and this herb has been used to treat diabetes since the early 1900s. The FDA approved metformin in 1995, although it’s been used in the UK since 1958. Metformin can be used to treat prediabetes. About 84 million people in the U.S. have prediabetes. Most of them don’t know they have it. And without intervention, about 70% of them will go on to develop Type 2 diabetes. The Diabetes Prevention Program (DPP), a landmark clinical trial, showed that lifestyle changes (weight loss, healthy eating, physical activity) can lower the risk of getting Type 2 diabetes by close to 60%. It also showed that taking metformin can lower the risk by 31%. Data from the ongoing DPP study indicates that lifestyle changes or metformin could reduce or delay the onset of Type 2 diabetes by up to 15 years. There are different ways to take metformin. Metformin comes as a tablet that is typically taken once or twice a day. There’s an extended-release tablet that is taken once a day with the evening meal. If swallowing pills isn’t for you, you can use a liquid form of metformin, called Riomet, taken one to three times a day with meals. Metformin is available as a generic drug, but the brand-name versions include Glucophage, Glucophage XR, Glumetza, Fortamet, and Riomet. In addition, metformin is available in combination with other types of diabetes medicines. Metformin is linked with vitamin B12 deficiency. Vitamin B12 is necessary for the brain and nervous system to function properly. It’s also needed for red blood cell formation, DNA production, and metabolism. Research shows that taking metformin for an extended period of time raises the risk of developing a B12 deficiency. Why? Metformin appears to limit the absorption of B12 in the stomach and from the bloodstream into cells. A B12 deficiency can lead to megaloblastic anemia, neuropathy, memory loss, and fatigue. If you take metformin, check with your doctor about getting your B12 level checked. If it’s on the low side or if you’re deficient, you may need to take a B12 supplement or get B12 injections. Metformin is used to treat PCOS. PCOS (polycystic ovary syndrome) is a hormonal disorder that affects women of childbearing age. Symptoms include irregular menstrual periods, an excess of androgen (a male hormone), and numerous cysts on the ovaries. The ovaries may fail to release eggs, so becoming pregnant is often difficult. PCOS is also associated with obesity, hirsutism (excessive body hair growth), and insulin resistance. Hormones may be prescribed to help regulate the menstrual cycle and encourage ovulation. Lifestyle changes, such as losing weight and being physically active, can help. In addition, metformin may be prescribed to improve insulin resistance, which not only decreases the risk of Type 2 diabetes but also helps to balance hormone levels, which helps regulate menstruation and ovulation.